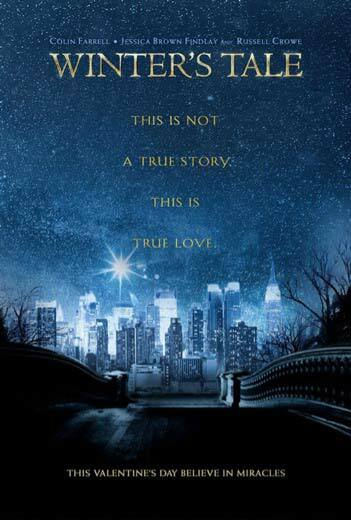 Winter’s Tale is coming on Valentine’s Day 2014. This generation jumping love story stars Colin Farrell, Jessica Brown Findlay, Jennifer Connelly, William Hurt, Eva Marie Saint and Russell Crowe. If you go in for magical realism, true love despite all odds, the battles of good and evil, and a heart throbby Colin Farrell, this movie will make your Valentine’s Day perfect. Are you a sucker for a good love story? I am. Think you’ll go see this movie?